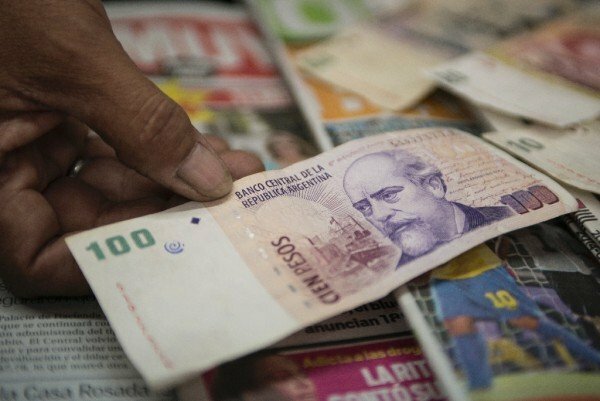 Argentina’s government has announced a relaxation of currency controls. According to experts, the move is likely to weaken the local currency, peso. President Mauricio Macri hopes the move will boost exports and spark economic growth. Farmers in Argentina have been waiting for the currency to fall before selling stockpiles of soybeans. The official exchange rate of 10 pesos to the US dollar is not matched by a much stronger black market rate. Analysts expect the official rate to weaken to between 13.5 and 15.00 per dollar, in line with the black market rate. Argentine finance minister Alfonso Prat-Gay said he accepted the rate would weaken to “close to” 14.2 to the dollar. Alfonso Prat-Gay also said Argentina was negotiating a credit line with international banks to build a credit line of more than $5 billion to replenish the country’s international reserves. He outlined that exchange controls would end for all businesses who would be allowed to buy as many dollars as they needed. However, he said, for the time being, ordinary Argentines would still face restrictions on the amount of dollars they could buy a month. In response to concerns that there could be a steep devaluation, Alfonso Prat-Gay said the central bank had been given the right to intervene if the exchange rate fell too quickly. Argentina’s ex-President Cristina Fernandez de Kirchner used central bank reserves to prop up the peso. But Mauricio Macri, who was elected last month and inaugurated last week, had vowed to change the policy. Argentina has been plagued by financial volatility in recent decades with inflation running at around 25% according to private estimates.